Your Next Gift Becomes An Adventure!. 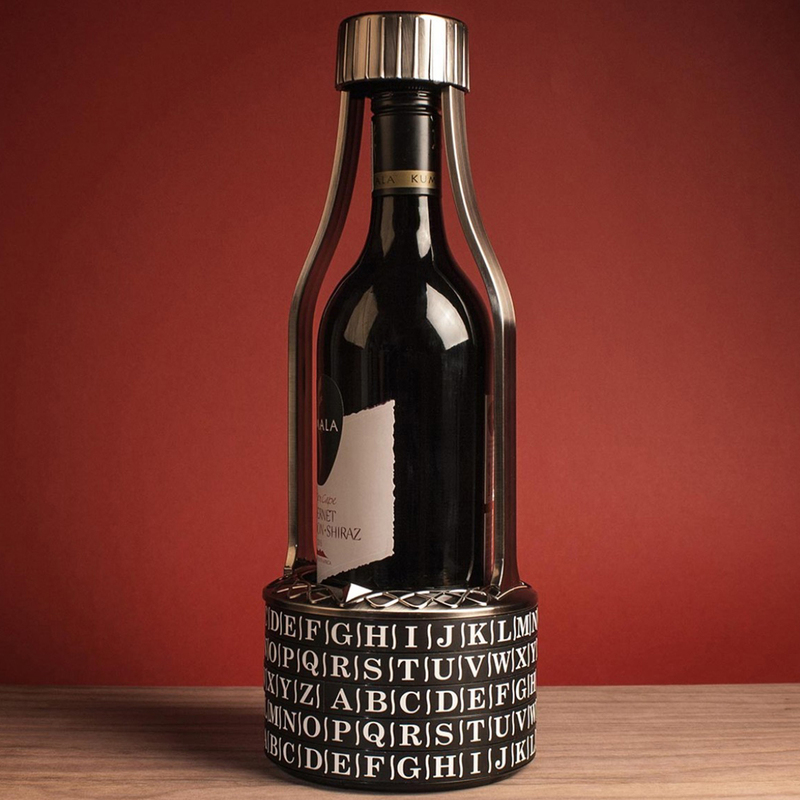 Looking for a way to turn an ordinary gift into something special? Have some fun and make your giftee use their detective and code breaking skills to receive your present locked inside. Do you love brain teaser puzzles and games or know someone who does? Have you ever wanted a cryptex - like the one from “The Da Vinci Code,” but something bigger that can hold larger items? Puzzle Pod is for you! Also perfect for use in escape room puzzles. You can lock up a gift inside this cryptex, give it to a friend and send them off on a treasure hunt. There's no limit on the creativity you can use to deliver the clues. 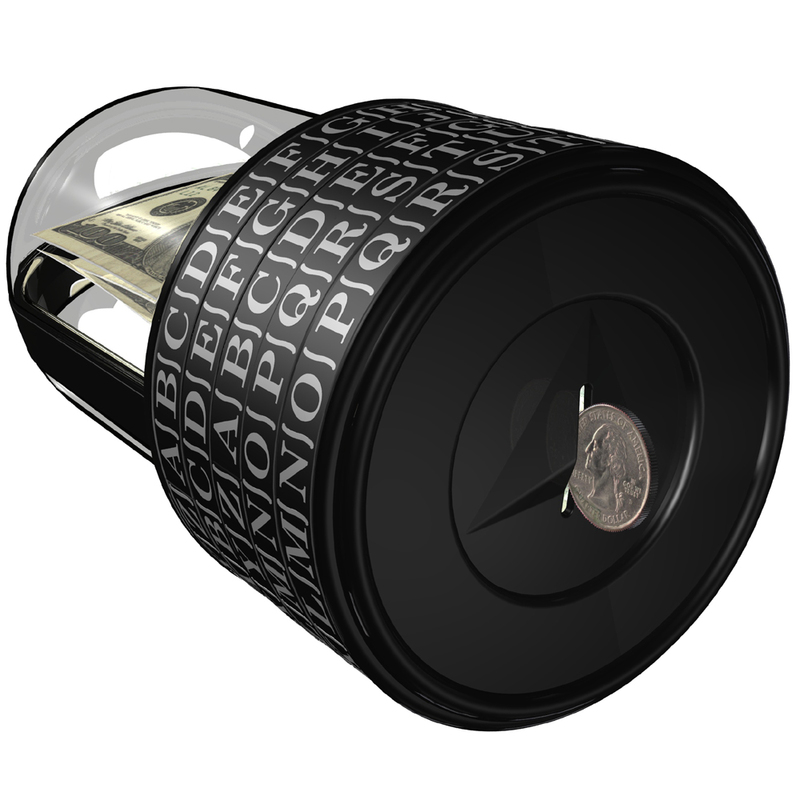 The cryptex unlocking code can be set to any five letter word of your choice. 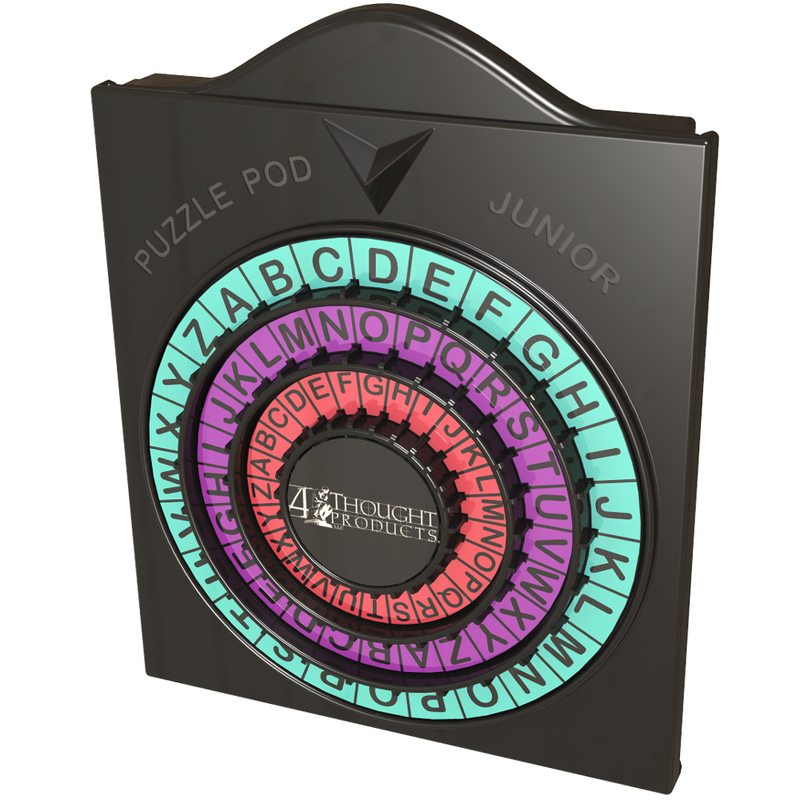 They won’t be able to get to the gift inside the cryptex until they solve the clues and break your code. Setting up your unique personalized challenge is half the fun and you can make it last an hour.... or a year. When the code is broken and the challenge comes to a conclusion, you can start the fun all over again, reset it, and regift it. You may just want to hang onto it, as we've put in features that allow it to be used as a coin bank - with slot on the bottom. 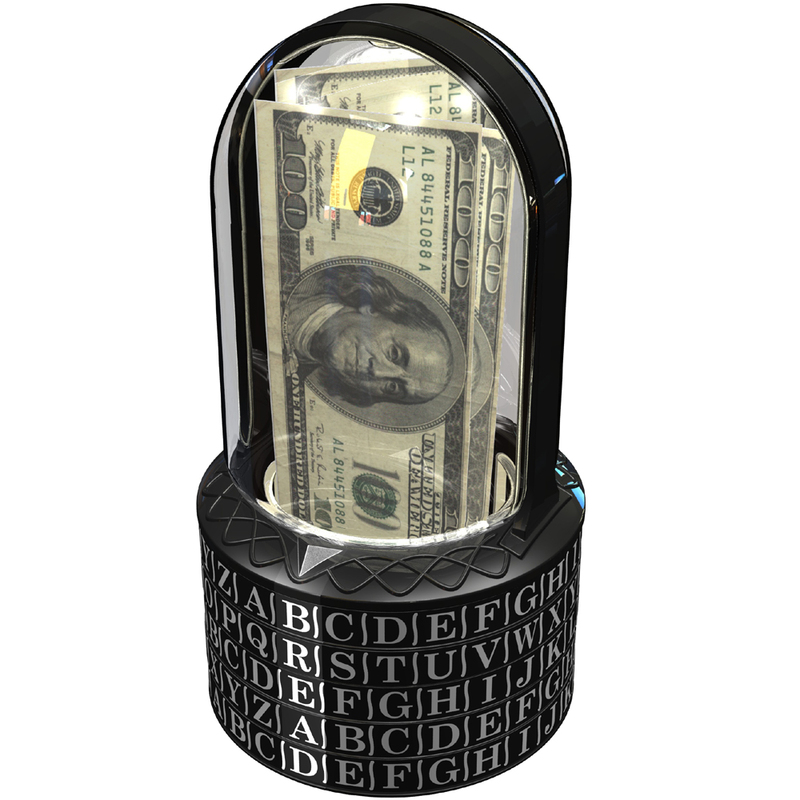 This is a really unique gift and if you like the money maze puzzle, you'll love this.